EBU heavyweight champ Aleksander Dimitrenko will according to the EBU make a voluntary defence of the title in August with Universum promoting. No word on opponent or exactly when and where have been announced. 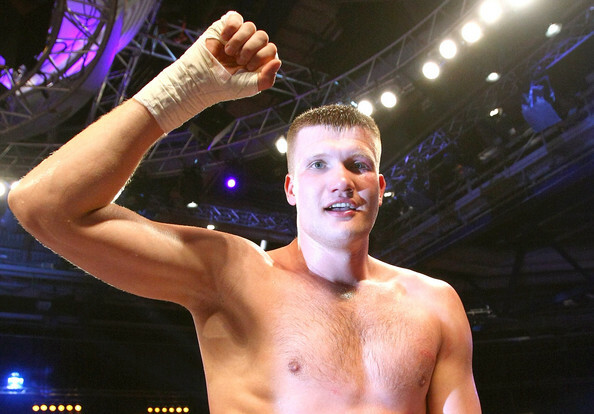 This means that Dimitrenko´s mandatory challenger Jean Marc Mormeck will have to wait - something he apparently is very happy with as the former cruiser king still dreams of getting a world title shot at heavyweight and will only fight Dimitrenko as an last option. Mormeck, his own man, have now also joined the long list of French promoters who have problem with getting TV behind his promotions. The EBU have now set September as deadline for agreements for Dimitrenko vs Mormeck. At cruiser OPI 2000 have postponed Alexander Frenkel´s defence against Silvio Branco from June 25 until July 18 with Civitavecchia as remaining as site. EBU lightheavy champ Eduard Gutknecht will make a voluntary defence of the title July 16 in Munich - at least according to the EBU. Mandatory challenger is Ukrainian Vyacheslav Uzelkov. Flyweights Kamel Guerfi and Valery Yanchy clash for the vacant EBU title August 19 in La Coruna, Spain. The EBU will hold their annual General Meeting July 11 in Dublin, Ireland. The Swedish Federation plan to bring up the very sensitive subject of suspensions - today there is only agreement between the EBU affiliated Federations that a suspension of a boxer should be respected by the others but this paper is by now not worth much as everyone follow their own agenda - which means a boxer can be suspended on medical grounds by one Federation but get another license elsewhere and fight on. t´s not confirmed by Sauerland but figosport.de broke the news yesterday and Argentinian sources confirm that former WBA lightheavy champ Hugo Hernan Garay will challenge WBO cruiser king Marco Huck July 16 in Germany. It will be Garay´s fourth fight in Germany where he lost two controversial decisions to Zsolt Erdei in fights for the WBO title and then defended the WBA belt he won later against Juergen Braehmer - in all three fights Garay showed relentless stamina and agression and he was very impressive in his non-stop attacks. It all fell apart in 2009 when Garay lost to Gabriel Campillo and then got stopped by Chris Henry - losses put down on bad training discipline and problems making 175. Hugo have sinced moved up to cruiser but doesn´t appear to be the same force as he once was. There is also no official confirmation from Sauerland in regards of Sergey Lyakhovich vs Robert Helenius. Fact is that promoter Chris Meyer would only confirm that they are negotiating with Lyakhovich. However, on that end the deal appears to be done or so is said by Team Lyakhovich. The problem - if any - is instead reportedly that Helenius haven´t signed the contract. More Sauerland news: Lightheavy Karo Murat, IBF I/C champ, will fight an IBF eliminator against Spaniard Gabriel Campillo, reports Pedro Garcia at boxeodirecto. Rimer Boxe in Spain will try to get the fight to Madrid for a showdown in September. There are plans for a tune up for Campillo July 8 in Barcelona - a show he will headline along with lightweight Petr Petrov.